Little Joe proofing press are commonly found in offset press rooms and ink manufacturing plants. 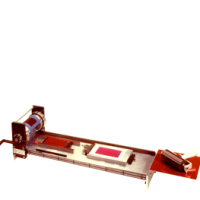 The Little Joe Model H is a one color press favored by printers, makers of lithographic and UV flexographic inks, pigments, varnishes and paper stocks. 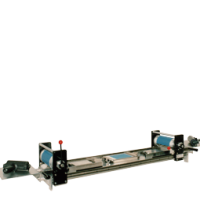 As a proofing press, Little Joes are commonly found in offset press rooms and ink manufacturing plants. The Model H is used most often for quality control and materials testing, giving reliable results with a minimum of time, materials or training. An optional can printing attachment permits printing on standard two-piece aluminum cans; mandrels for other can sizes and cylindrical objects are available. Requires little operator training and supervision.